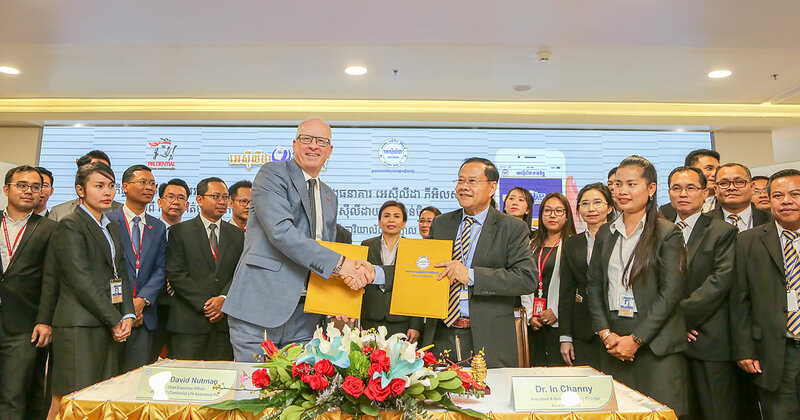 Phnom Penh, March 29, 2019 – Prudential Cambodia policyholders can now pay their life insurance premiums in a convenient, easy and secure manner via mobile app "ACLEDA Unity ToanChet", under the strategic partnership between ACLEDA Bank Plc. and Cambodia's leading life insurer Prudential Cambodia. Through this innovative solution, Prudential Cambodia customers holding bank accounts with ACLEDA Bank can enjoy a seamless premium paying experience using their mobile devices, save time and eliminate the hassle of physically visiting a bank branch whilst ensuring prompt payment at their fingertips. The rollout of the premium payment facility via ACLEDA ToanChet app is another example of Prudential Cambodia's efforts to leverage technology capabilities to create a convenient, reliable and secure payment process for its customers across the Kingdom, said Prudential Cambodia CEO Mr David Nutman. "In line with Prudential Cambodia's new brand initiative 'We Do Innovation', we are committed to enhancing our digital capabilities to meet the evolving needs of our customers. Our longstanding partnership with ACLEDA Bank has helped us add the ACLEDA ToanChet app to our list of policy payment options and enabled us to take a stride forward in delivering a seamless digital experience to customers. For more than five years, Prudential Cambodia and ACLEDA Bank have worked together to provide financial security as well as comprehensive health and financial protection to our growing base of customers." Since establishing operations in 2013, Prudential Cambodia has issued over 150,000 policies, demonstrating the company's commitment to serving the protection needs of Cambodians and securing their long-term future. ACLEDA Bank launched its ToanChet mobile app in 2017 as part of its commitment to make banking services more convenient and accessible to the Kingdom. As one of Cambodia's largest banks, ACLEDA Bank had more than 2.5 million clients and US$5.7 billion in total assets as of December 2018. "ACLEDA Unity ToanChet is the best choice to serve as a strategic partner for Prudential Cambodia to provide principle customers with accessibility, security and excellence," noted ACLEDA Bank Plc. 's President and Group Managing Director Dr. In Channy. 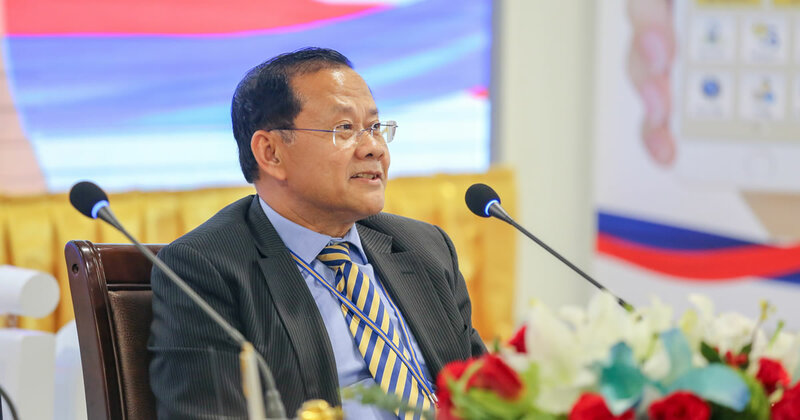 Prudential Cambodia is confident that the adoption of the innovative and paperless solution will set new standards in Cambodia and step up the company's effort to promote financial inclusion in the country. Prudential Cambodia has unveiled its new brand campaign "We DO", anchored by its commitment to customers: "Listening. Understanding. Delivering." This campaign has introduced a series of themes including Innovation, Money and Fitness, reaffirming the company's strategic focus to help protect customer's health and financial security across the country. Prudential Cambodia is a wholly owned subsidiary of UK-based Prudential plc*. In Asia, Prudential is a leading life insurer that spans 12 markets in Asia, covering Cambodia, China, Hong Kong, India, Indonesia, Laos, Malaysia, the Philippines, Singapore, Taiwan, Thailand and Vietnam. Prudential has a successful multi-channel distribution platform providing a comprehensive range of savings, investment and protection products to meet the needs of its customers. * Prudential plc is an international financial services group serving more than 26 million insurance customers worldwide and has USD 825 billion in assets under management (as at December 31, 2017). Prudential plc is not affiliated in any manner with Prudential Financial, Inc., a company whose principal place of business is in the United States of America. ACLEDA Bank Plc. consists of 5 subsidiaries: ACLEDA Securities Plc., ACLEDA Institute of Business, ACLEDA Properties Ltd., ACLEDA Bank Lao Ltd., and ACLEDA MFI Myanmar Co., Ltd. with representative offices in Myanmar. As of February 2019, ACLEDA Bank Plc. had US$5.9 billion in total assets, US$3.67 billion in total credit balance and US$3.92 billion in total saving deposits, and 2.5 million customers.